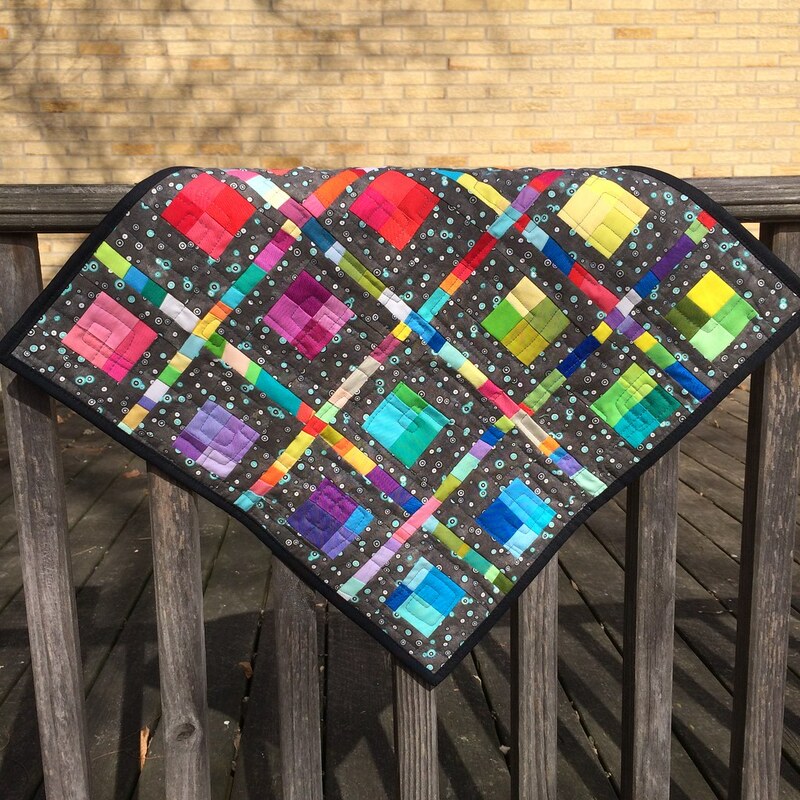 So, I joined another mini swap, and this one had a rainbow theme. I had a little trouble with it, because my partner had more modern tastes than I do, and at the last moment, she said that she'd appreciate something with solids. 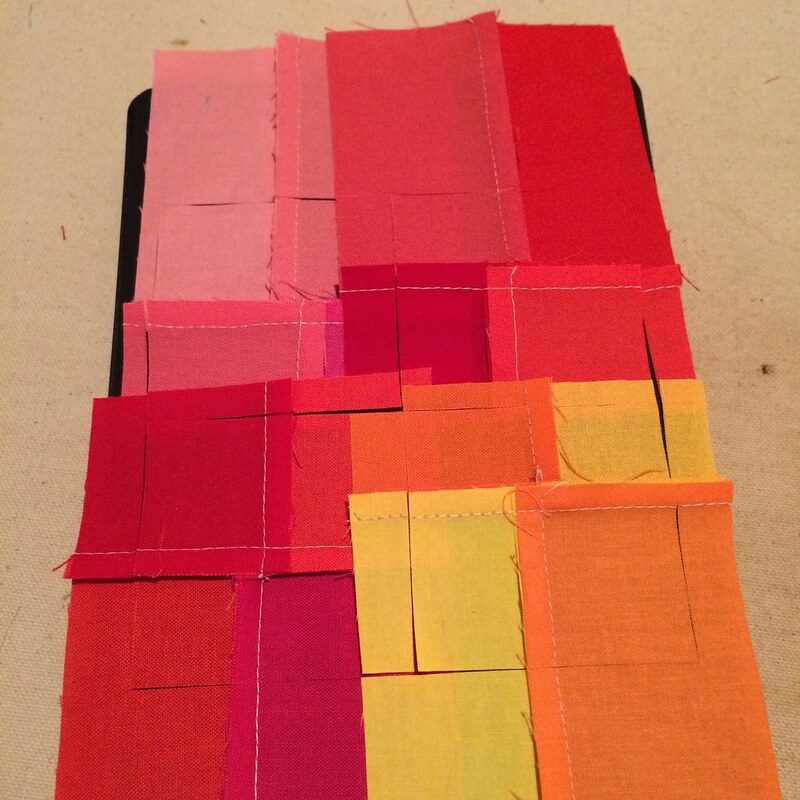 Well, I do like solids, and I do have a good deal of them on hand, especially after making my rainbow bag. 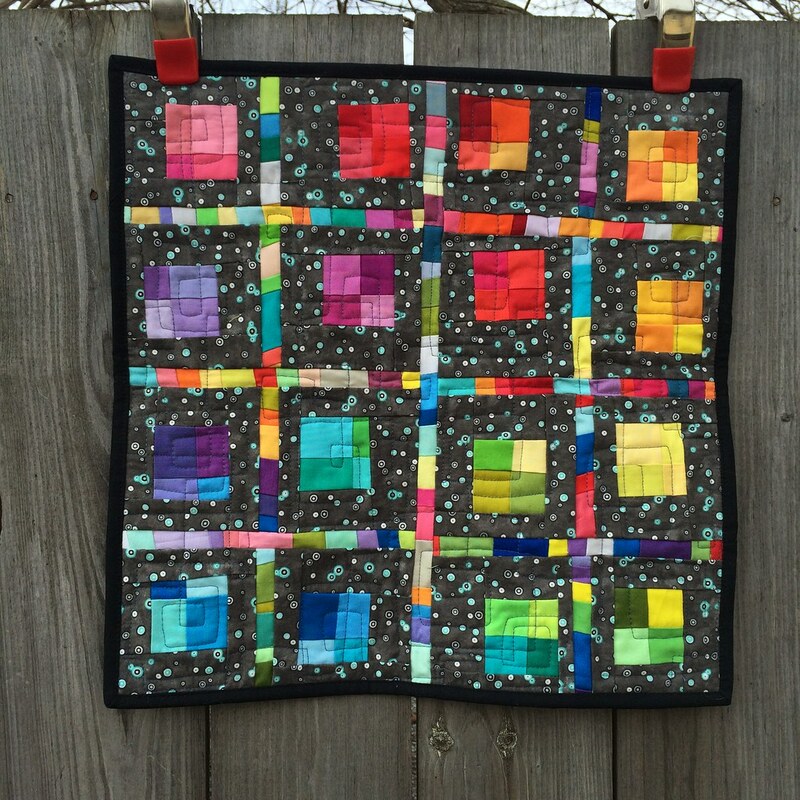 It may just be a question of what is modern quilting, and that's quite a lot to go into here. I wanted something simple and square based, and yet interesting and unlike anything she may have had before. 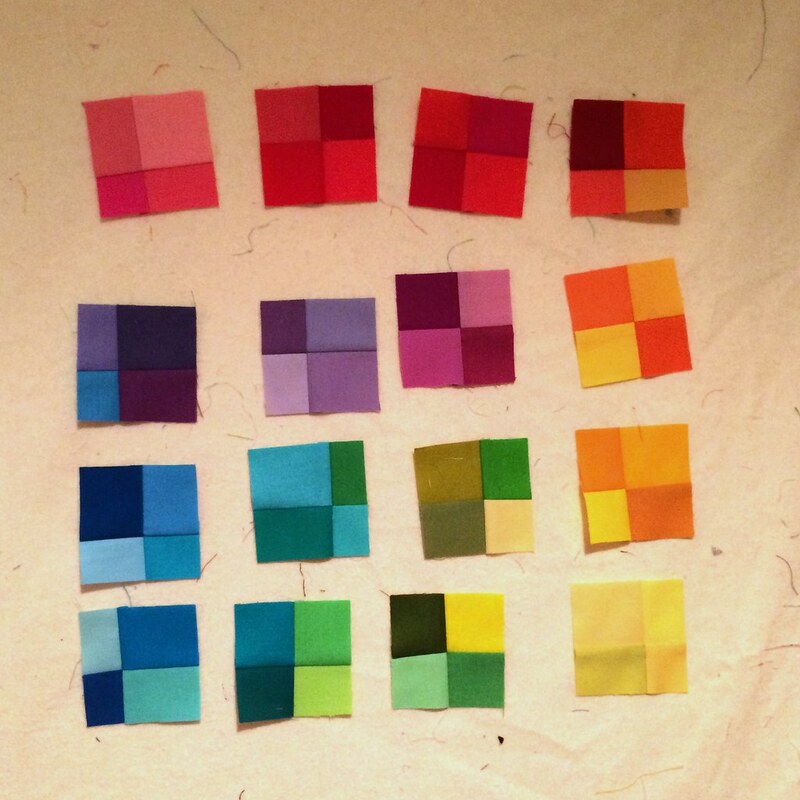 And I was thinking about the best talk I saw at quiltcon, given by Elizabeth Dackson about Modern Traditionalism, and one of the suggestions she gave about making a pattern into something more modern was to keep the strict grid, but move each block slightly off center. I'm not sure how to say it, so hopefully the finished quilt will give some illustration to the point. And when I put this up on Instagram to ask opinions, there was one woman who was very definite that it was not to her taste. Which is somewhat surprising in that eternally supportive environment, but good for her for speaking her mind. However, my partner was silent, and I really liked it. 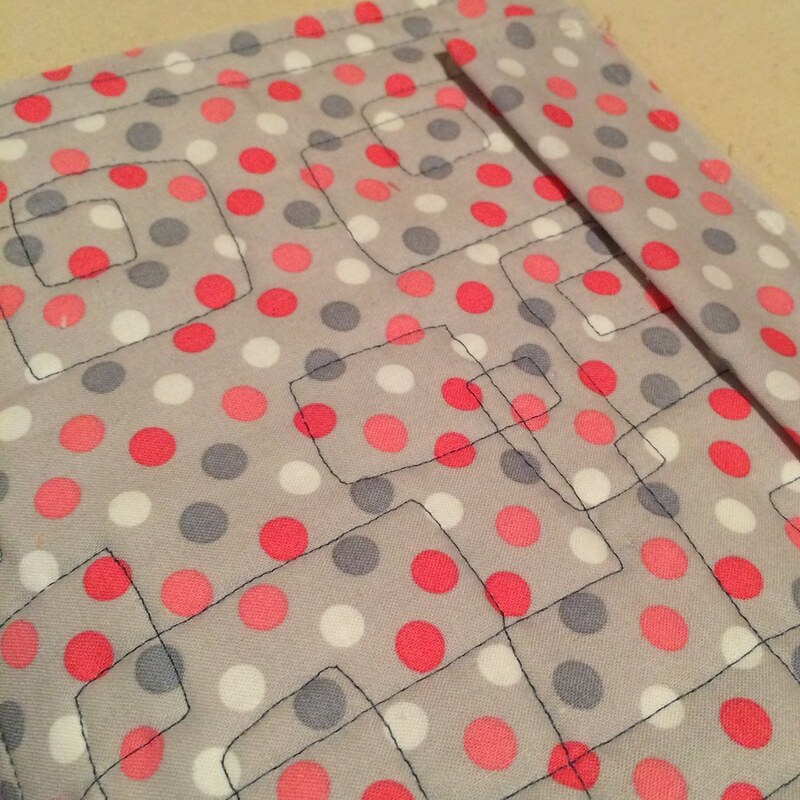 I quilted it with a loose geometric fill, which was the best I could come up with given all the seams. Even so it broke a few needles. 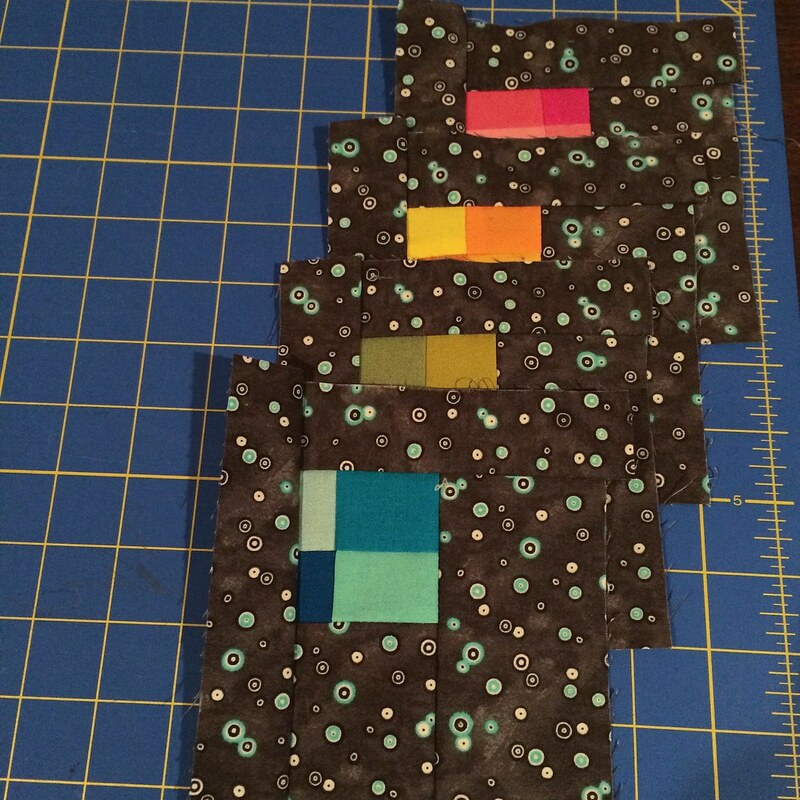 I used the same dark teal 40wt thread as the unicorn quilt. I bound it with black fabric, because I thought it would look neat, and it did, once I freed it of every fuzzy bit of lint it picked up from everywhere! Oh, now I know why people tend towards grey rather than black! It's even harder than white to keep clean! And then it was sent off! 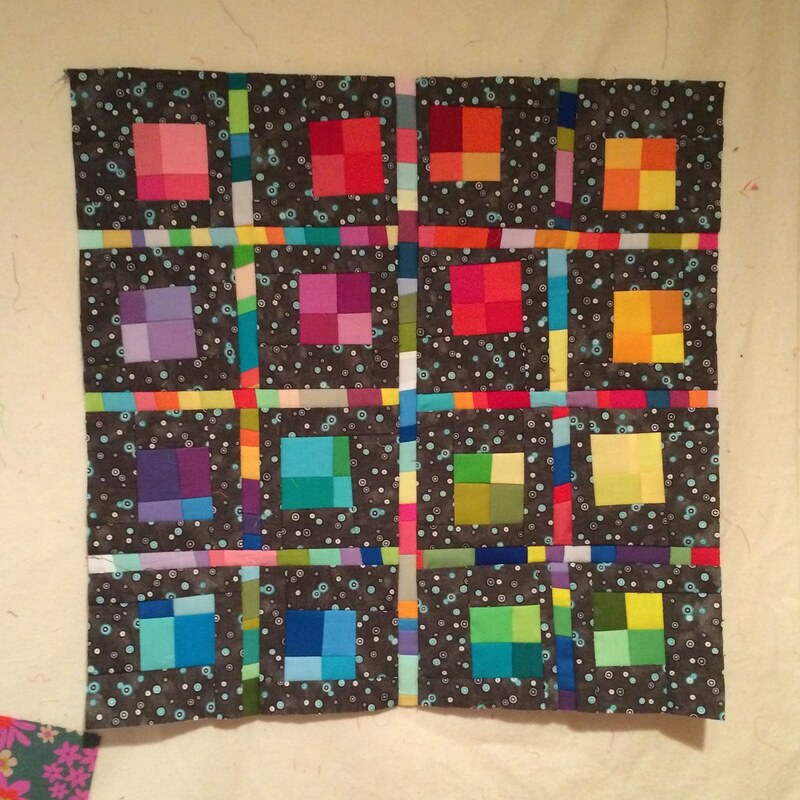 It's the first quilt I've really done any true improv on. I was sad to send it off, but I learned a lot with it! I put pink at the upper left because it is her favorite color. 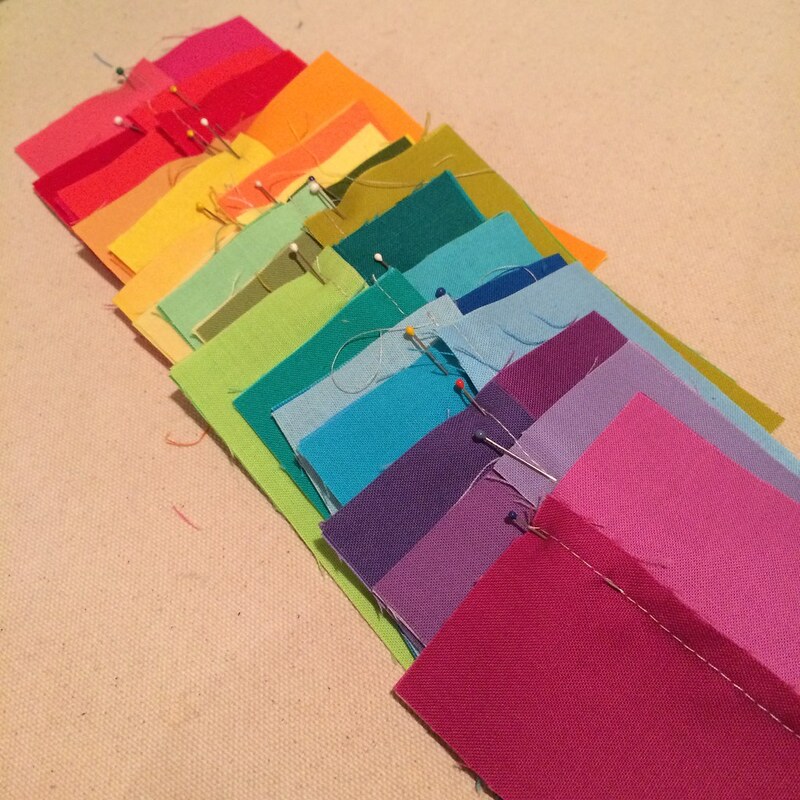 And then I wanted to have an unusual color progression, which is why it's more of a spiral than a rainbow. And I hope you can see what I meant about the grid. 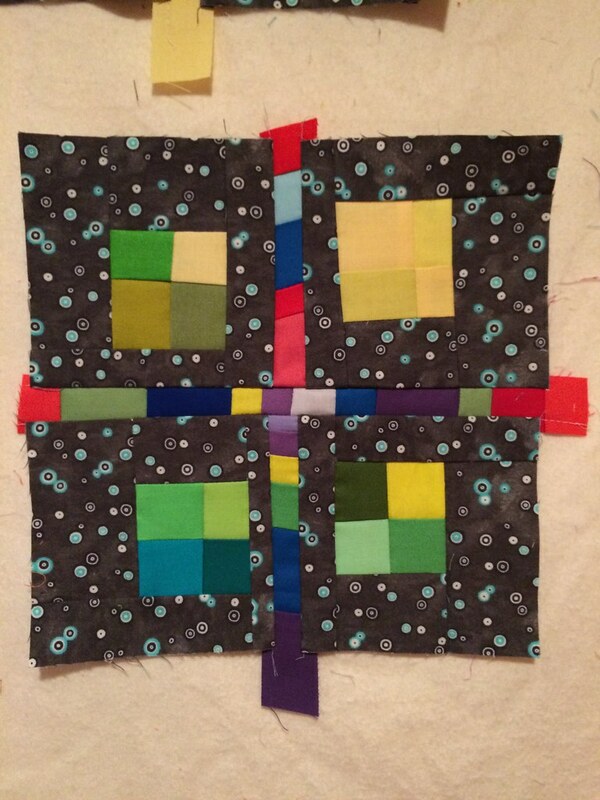 Though the blocks are the same size, they are neither centered nor equally off-center. An interesting process. At first I didn't like the print, but by the finished piece, I do.